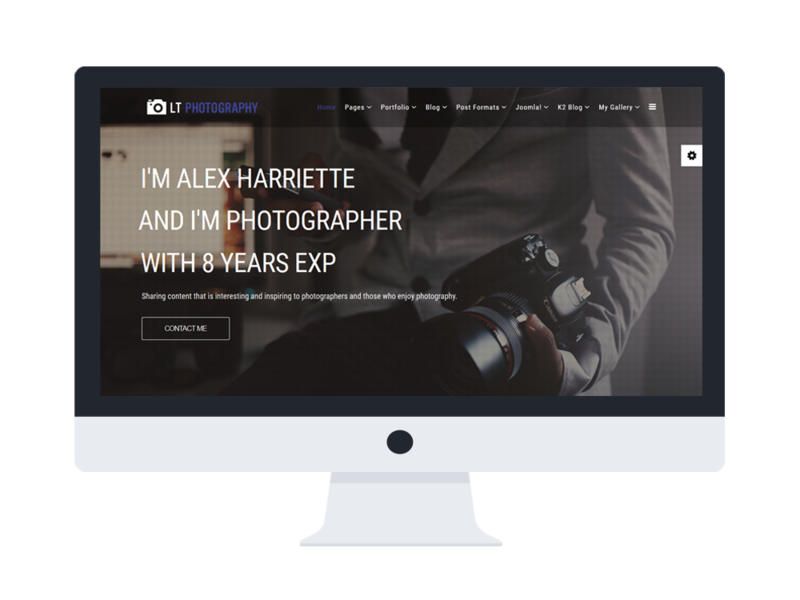 LT Photography Onepage is a lovely portfolio photo template in one-page version of LT Photography Joomla template that is well suited for every photo gallery, photo sharing websites. 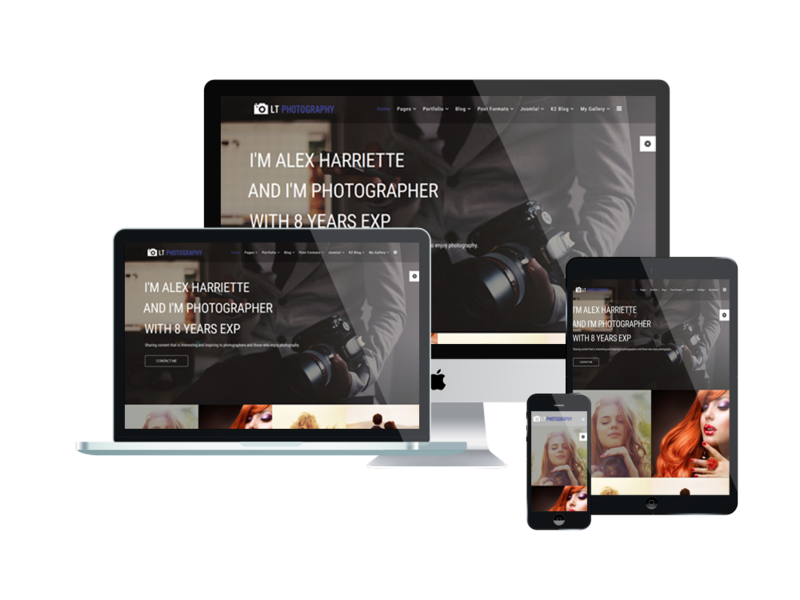 Your customers and visitors will find it easy to access to your site on their mobile devices because it displays excellent with 100% responsive in chic One Page style. 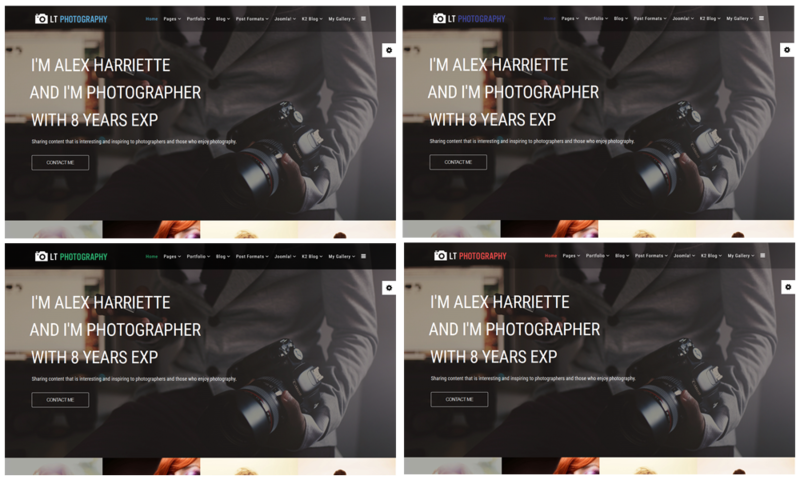 The template also provides you with 6 colors schemes which are customizable, along with drag-drop tools and color settings to create various looks for your amazing gallery. Check the Live Demo now! 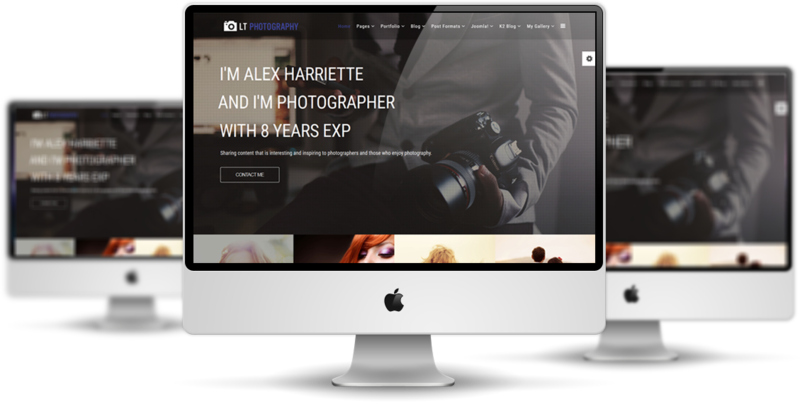 LT Photography supports mobile devices with responsive layout. The template framework with strong shortcodes, unlimited module positions, and easy to drag-drop layout content.